These reports provide an overview of activities in the particular year. The Annual Report is the ESA Director General's report to ESA Council on the major activities that have taken place in ESA each year, as agreed in the ESA Convention. The Annual Report is the ESA Director General's report to ESA Council on the major activities that have taken place in ESA each year. The FMI work and activities are described in a review that comes out once a year in English. "Research results, new milestones, new projects… highlights of the year. Includes financial statements and other governance information." Las Estadísticas Sanitarias Mundiales presentan las estadísticas sanitarias más recientes de los 193 Estados Miembros de la OMS. 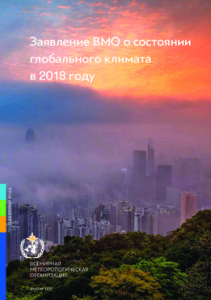 The IUGG Yearbook is a reference document of IUGG members, administrative officers, and Association and Union Commission officers that is updated annually and distributed free of charge. Each issue endeavors to update the contact information for hundreds of persons who are actively participating in IUGG scientific activities. Information is complied throughout the year until early December. The print-ready copy is sent to the publisher in late December, and the Yearbooks are distributed as soon as possible thereafter. Die Jahresberichte des DWD enthalten komprimierte Übersichten über die wichtigsten Aktivitäten im vergangenen Jahr mit farbig illustrierten Texten. Neben wissenschaftlichen Ergebnissen erfährt der Leser etwas über die Personalentwicklung sowie die Betriebswirtschaft des DWD. Die Organisationsstruktur sowie das Mess- und Beobachtungsnetz sind in Grafiken sowie Karten dargestellt. All year round KNMI is working for the Netherlands. Measurements, weather and climate modelling, climate advice and data. KNMI's annual report shows a series of activities and operations performed by our institute last year. The research at KNMI is summarized every three years in Triennial Reports. The Yearbook covers demographic, social, economic issues; it also provides data on natural resources and environment. The Annual Report and Accounts provides a review of our main activities and performance against key measures, information on our plans for the future and our accounts for the relevant financial year. 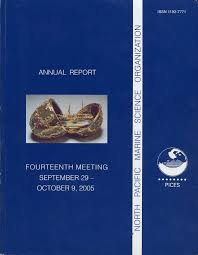 This report outlines a number of important PEMSEA accomplishments from activities related to: ICM development, implementation and scaling up; various capacity building efforts at the local, national and regional levels; building cooperation through twinning arrangements, public-private partnerships and promotion of corporate social responsibility; development of tools and mechanisms for monitoring and standardization of good practices; and laying out the plans for PEMSEA’s transformation and sustainability. Each year, UNDP's Annual Report details its activities around the world, highlighting the challenges and achievements of the organization and its network of partners in their endeavour to help developing countries to achieve the Millennium Development Goals (MDGs). As the only UN development and humanitarian agency wholly dedicated to children, UNICEF assisted more than 150 countries and territories in 2009, the year of the 20th anniversary of the Convention on the Rights of the Child. The Annual Report 2009 emphasizes UNICEF’s unwavering commitment to children in its achievement of results and the global challenges the organization faced. The World Economic and Social Survey (WESS) was first issued in 1994, evolving in response to a 1947 mandate by the General Assembly which requested the Secretary-General to submit annual reports on current world economic conditions and trends to the Economic and Social Council. Its precursors were Economic Report: Salient Features of the World Economic Situation from 1945 to 1947; World Economic Report (1948-1954); and World Economic Survey (1955-1993).